Everyone needs a good neighborhood bar to call their own. Suzanne Accorsi just so happens to have three. A refreshing cocktail can feel absolutely essential in the soupy heat of New Orleans’ summer months, and Accorsi’s establishments rise to the challenge each year with a myriad of specialty drinks like the rosé lavender lemonade and watermelon mojito— that contains fresh watermelon puree— both featured at Pal’s. “A good summer cocktail, for me personally, involves some sort of fruity [or] citrus thing happening and a float of club soda or sparkling wine,” Accorsi says. “Because it’s refreshing and light— and yummy.” She adds that a good margarita will do the trick as well. After several years of travelling and co-owning a restaurant in San Francisco, Accorsi came to New Orleans to bar-sit for her friend Linda Novak, who was a co-owner of Matador’s and Pal’s Lounges. It was upon Novak’s return that Accorsi decided to buy out one of Pal’s other co-owners and become a partner at the bar. Since then, she’s expanded into two other locations with Martine’s on Metairie Road and Tavolino Pizza, which she started with her husband Dave Porretto, who provided the pizza recipe, and Hillary Hanning, a former bartender and manager at Mondo. “It’s not too shiny and it’s not in your face. Everything is not 100 percent— yeah, it’s imperfectly perfect,” she says. 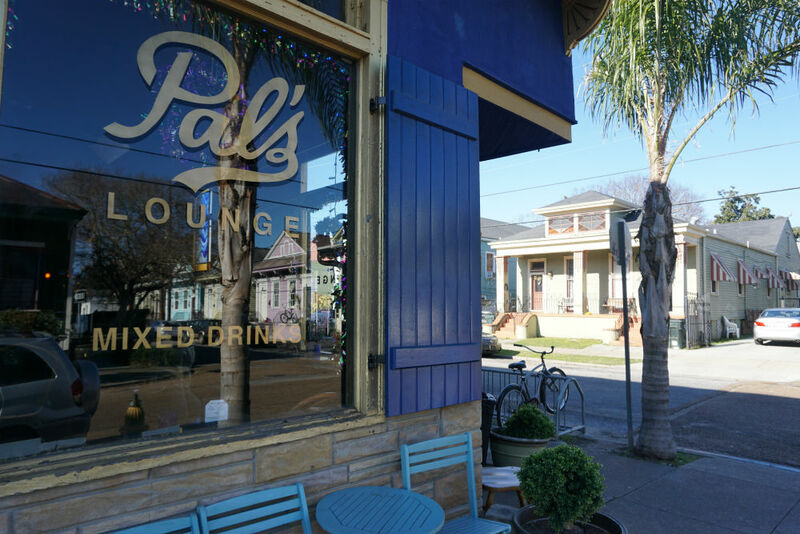 Pal’s Lounge is located at 949 N. Rendon St. in Mid-City. You can find more information about it here. Martine’s Lounge is located at 1247 Metairie Rd. and Tavolino Pizza & Lounge is located at 141 Delaronde St. in Algiers Point.